I have always been a big proponent of women flying - and believe the skies should be open to anyone of any gender, race, ethnicity, etc. who has a desire to fly. 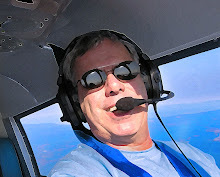 It's like this: The airplane will not know the difference if a women or a man is at the controls, unless of course there is a super gentle touch, then chances are pretty good it's a woman! Women flying is GA's secret weapon to achieve growth. With such a small percentage of licensed pilots being female, they represent the best chance we have to boost pilot numbers. 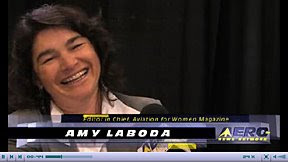 If you want to hear about women's contributions to aviation, there is no better source out there than Women in Aviation International's Amy Laboda. I have been reading her bylines for years, and now Aero-News Network's Aero-TV has put up a great interview with Amy. Please take a minute to go here and watch Amy's interview, and then go find a woman you know and take her flying.